Do not call 1-800-445-2470 because it is a fake Apple, Facebook or other Internet giants technical support or customer service number. The fake number(1-800-445-2470) is being used by cybercriminals or scammers to trick online users into calling it. The cybercriminals do this by sending out fake emails or text messages like the one below, which claim the recipients should call for support or help. Your Facebook account has been logged in to recently using a confirmation codes 1008 on Thursday, September 21,2017 at 10:00 (EST). If the recipients call the number, they will get an automated message asking them to enter their account credentials, personal information, including their social security numbers, bank account numbers, or other information the cybercriminals need in order to gain access to their potential victims’ accounts, steal their money and use their accounts fraudulently. 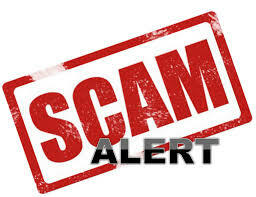 Recipients of the fake messages who have called 1-800-445-2470 and given out their banking information are asked to contact their banks for help, change the password of their online accounts, and contact their local authority if they gave out other sensitive information. What to expect when you get hit with Ransomeware (first hand experience).